This one is also from back in 2004 and was actually drawn a little before the last picture I posted. I had a harder time with this one. 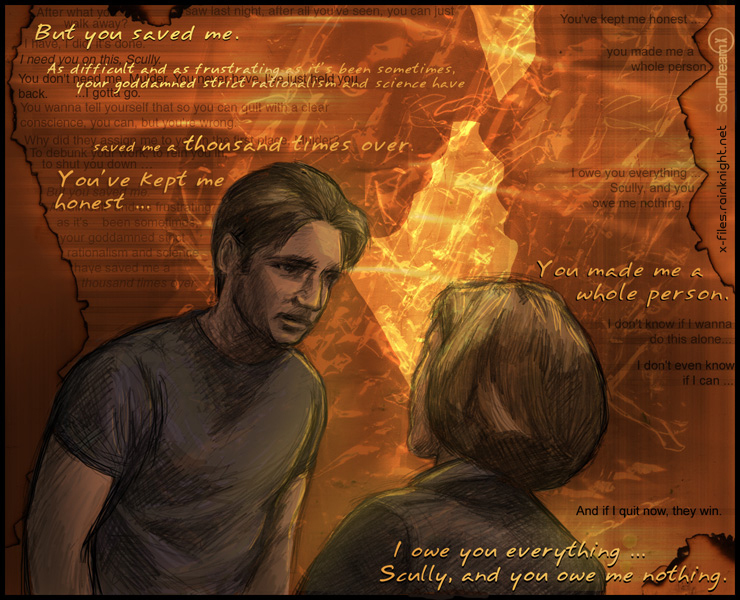 The drawing itself isn’t quite as strong (though I like how Scully’s hair came out), but I did have a lot of fun playing with the text in the background. I think I was going through some kind of sketchy pencil phase here. I want to eventually post a lot of my older art to this current blog, and I figured I’d start off with one of my personal favorite drawings from Fight the Future. 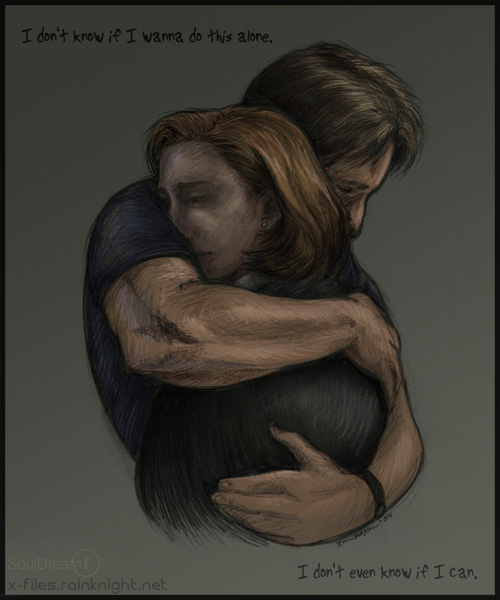 The original drawing was done back in 2004.